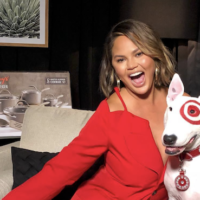 Target has announced a new partnership with Chrissy Teigen! The Cravings by Chrissy Teigen collection will feature everything you need to prep, cook & serve with more than 40 items ranging in price from $4 to $140. Available in stores and online beginning September 30th. While supplies last.